The quaint main street running down the center Olde Town Arvada sneaks you right out of the modern Denver jungle and into a unique corner of the city. Though the historic buildings have been maintained, the bars and restaurants hiding within are anything but old school. 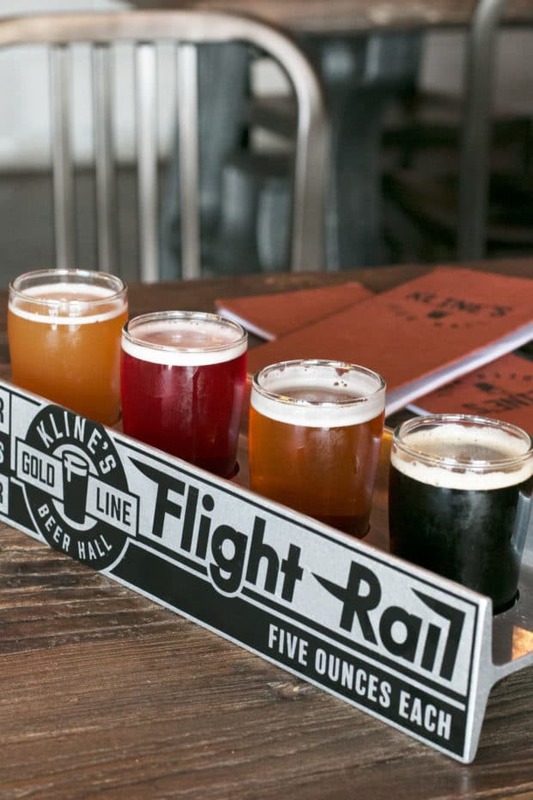 Head out for An Evening in New Historic Arvada to indulge in a variety of beer, booze, and food to get your taste buds tingling! 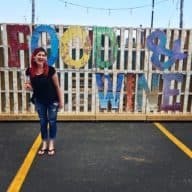 Disclosure: This post is sponsored by Arvada Tavern and Kline’s Beer Hall! As always, all opinions are my own. Thanks for supporting the brands that support Cake ‘n Knife! It’s funny how few people who are local to Denver venture out to Olde Town Arvada. It took me about 15 years to work my way northwest to this adorably quaint section of the city (shameful, I know). Olde Town Arvada is one of those places that has kept with it’s historic roots in the look and feel of it’s Main Street Americana roots, without becoming dated and forgotten. 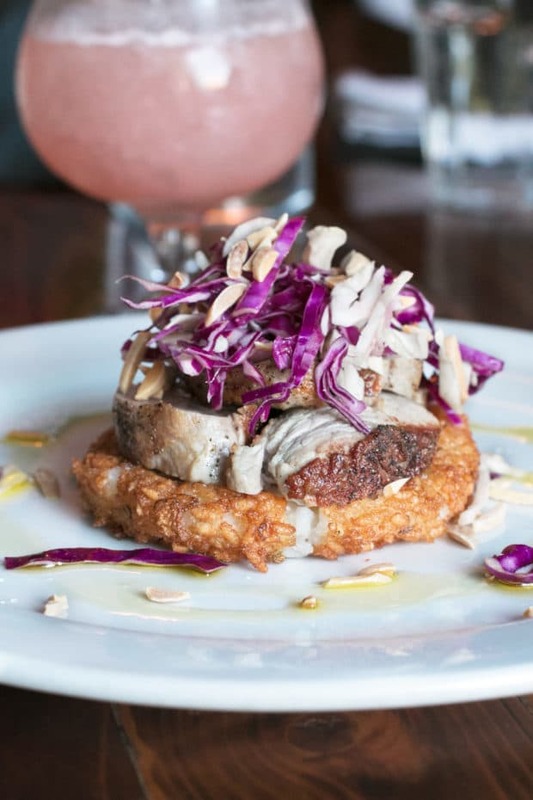 Instead there is a lively food, cocktail and beer scene that is humming all along the main road, stemming off into side streets. 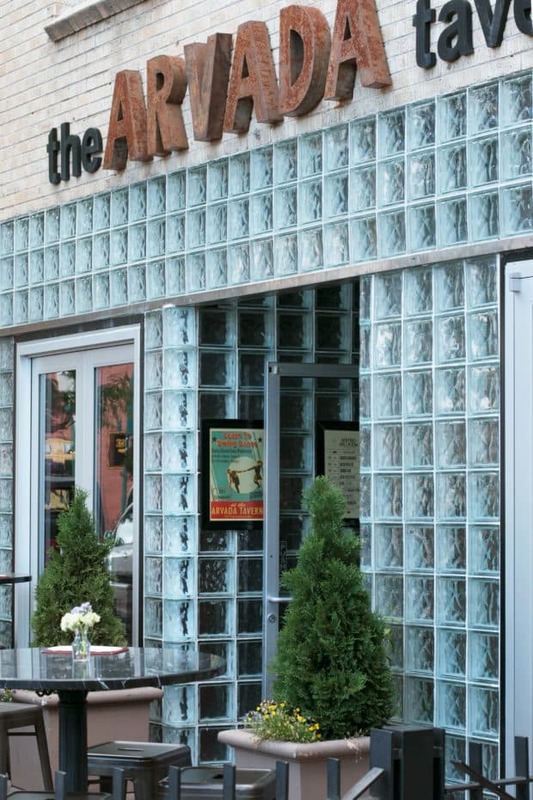 As you walk around Olde Town Arvada, you’ll be enchanted by the brick buildings, the variety of shops and restaurants, and the overall feeling of being taken away from the city without venturing too far from home. Kline’s Beer Hall is the one place I love to kick off a night on the town in historic Arvada. This beer lover’s version of heaven is inspired by Adrian Klein who received the first beer license of Arvada in 1933 and I have to say, they do the man proud with the wide variety of beers they sling out over heavy wooden counters. When you stroll into the place, past an adorable patio where you can sit and people watch to your heart’s content, you get the sense that you are walking into an old school German beer hall. The long communal tables, the heavy rich wood, the live music – it all pulls you in before a sip of beer hits your lips. It’s laid back, authentic, and I can promise you, you’ll never get bored with the beer. 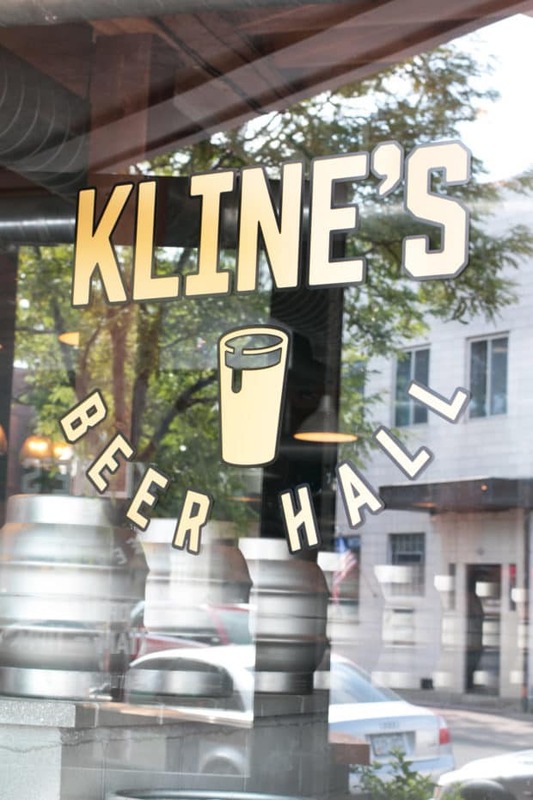 I personally LOVED their Summer of Sours theme that was rocking when I visited (and I plan to return multiple times next year assuming they have it another year… please please do, Kline’s Beer hall… PLEASE). Aside from whatever specials might be rotating through their seasonal taps, they have a wide variety of beers from around the world, including some Belgians that I remember from my time in Bruges this summer. Whether you are grabbing a flight or enjoying $2 off full pours for happy hour, you’re beer cravings will always be satisfied. 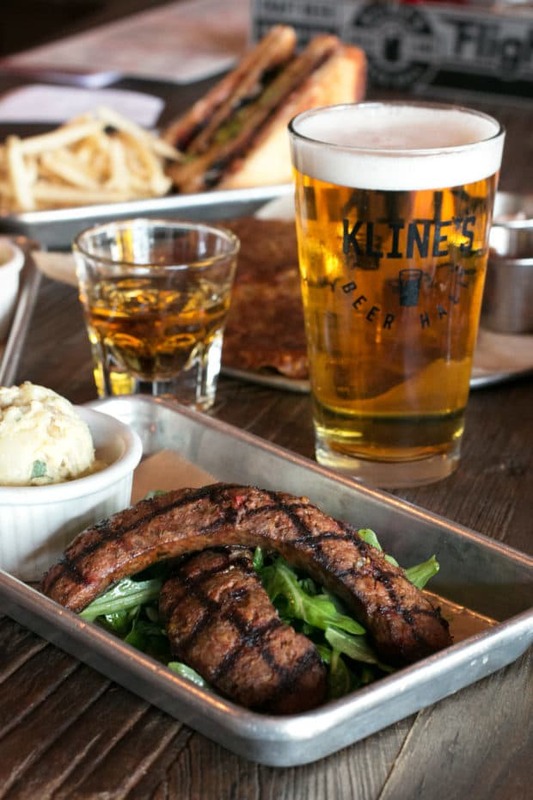 Not only does Kline’s Beer Hall serve up a wide variety of ever-changing beers on their tap list (including many of my Colorado favs), they also serve up whiskey and some of the best beer hall food I’ve enjoyed in a while. Just look at this ridiculous spread of goodies. 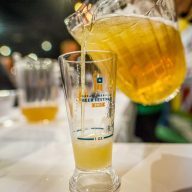 From appetizers to snacks, sausages to pretzels, you can find new takes on all the beer hall standards you’d see in Germany (and around the world). I can’t even begin to share how much I enjoyed the lamb merguez sausage (something I hadn’t even heard of before!). 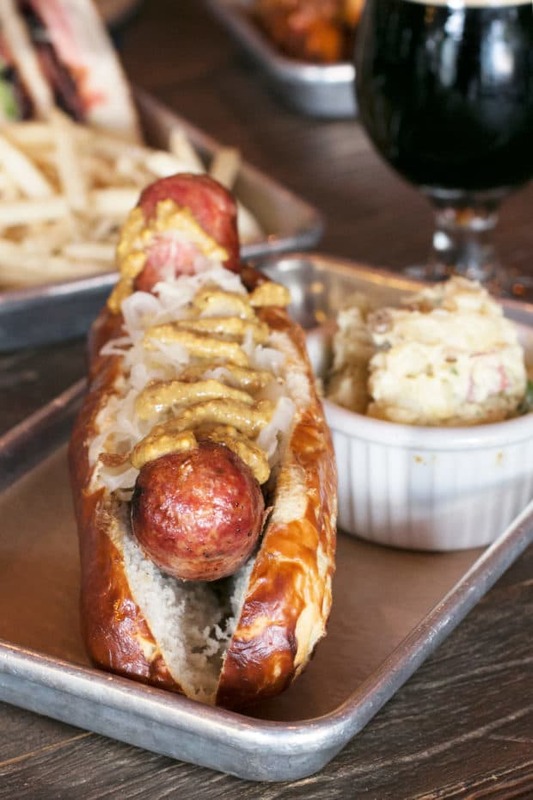 It’s a North African sausage with homemade harissa sauce making it a hearty and rich pairing for your favorite beer. 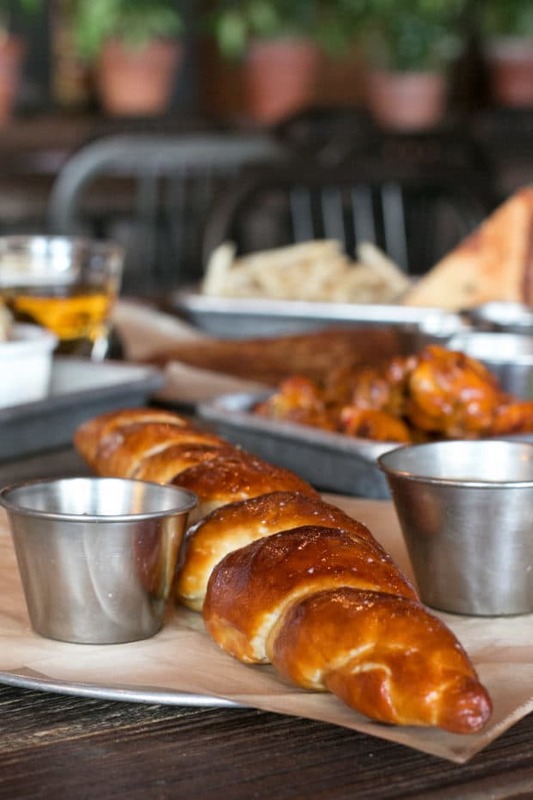 If you are a bread lover like me, you have to grab their Bavarian style pretzel with mustard and beer cheese. I had to stop myself from finishing the entire thing. By myself. 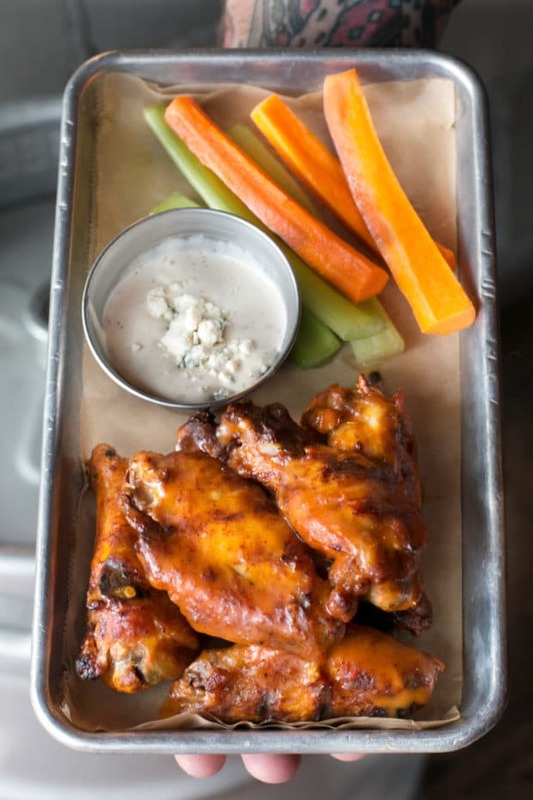 The grilled buffalo wings were another highlight, because they are cooked three different ways. Baked, fried, AND grilled, folks. 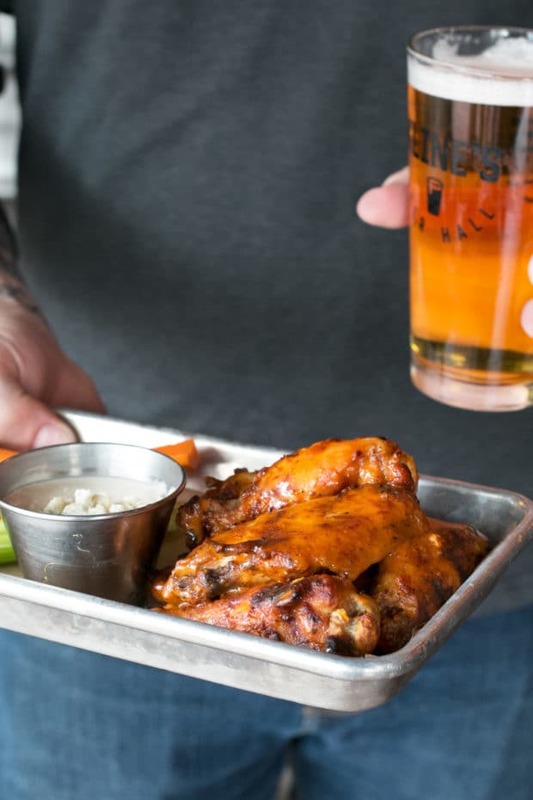 The result is thick and juicy chicken doused with fiery buffalo sauce with just the right amount of spice, pepper, and char. Other things you have to try if you need a heartier snack would be their Kline’s BLT made with 1/3 lb of house made thick cut bacon (one that I will be doing a riff on in the not-so-distant future), Lenka’s Latkes with a house made apple chutney that I want to take a swim in, and the Chocolate Bourbon Tart made by their in-house baker who also pumps out that pretzel I mentioned earlier. Needless to say, it’s the perfect place to pop in for happy hour drinks and snacks to kick off the evening in Arvada. When I think dinner in Olde Town Arvada, I head to one place…. The Arvada Tavern. I am not one to become a regular at many establishments (primarily because there are wayyyy too many new things opening all over town), but The Arvada Tavern is one that I would be a regular at all the dang time. First and foremost, The Arvada Tavern is a cocktail MECCA. 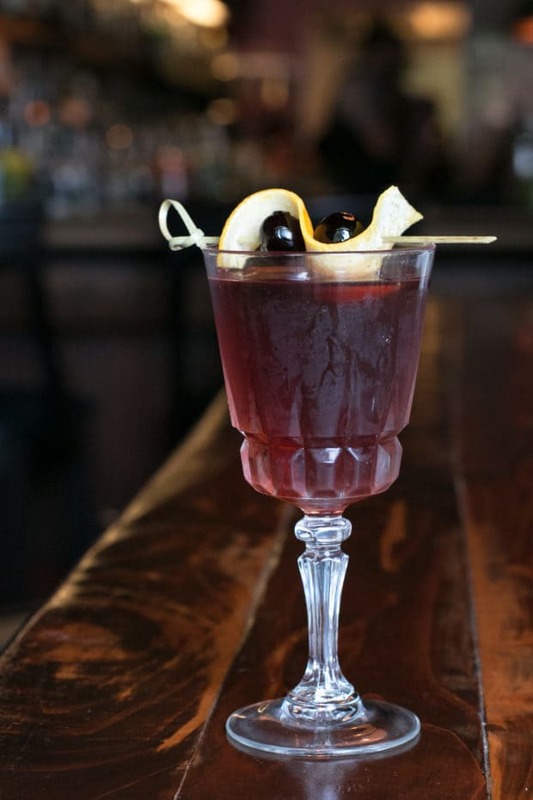 With an extensive list of classic cocktails to choose from and a handful of seasonal rotating cocktail concoctions, you will easily see why the aproned bartenders are some of my favorite people in Arvada. 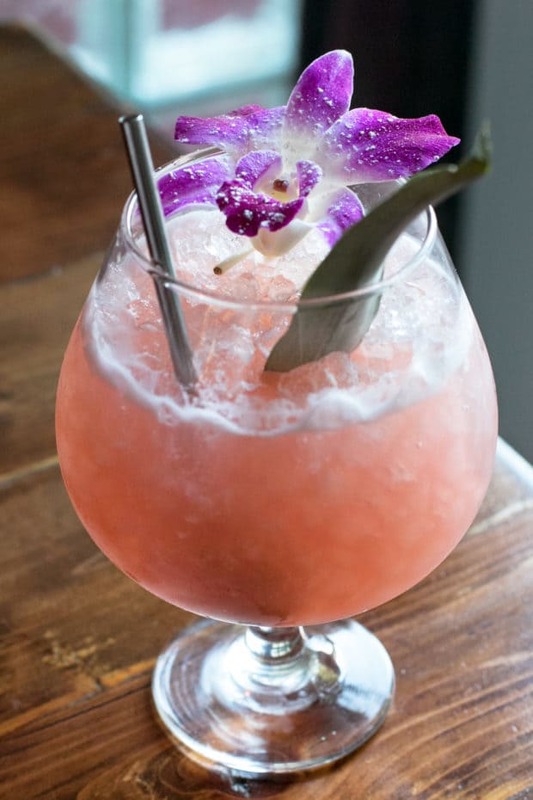 From the classics to the new and modern, the bartenders here really nail balance of flavors, modern riffs on well-known flavor combinations, and a playfulness that keeps their patrons coming back every season to find out what’s new on the menu. The two seasonal drinks I indulged in were Lost Beginnings and Destination Unknown. Lost Beginnings was filled with rye, sherry, bitters, cinnamon and lemon. Balanced, smooth, and sultry. 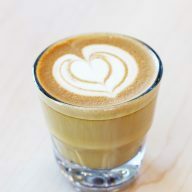 Then came Destination Unknown which visually took my breath away, that is until I had the first sip and the flavors burst into a symphony of bliss on my taste buds. 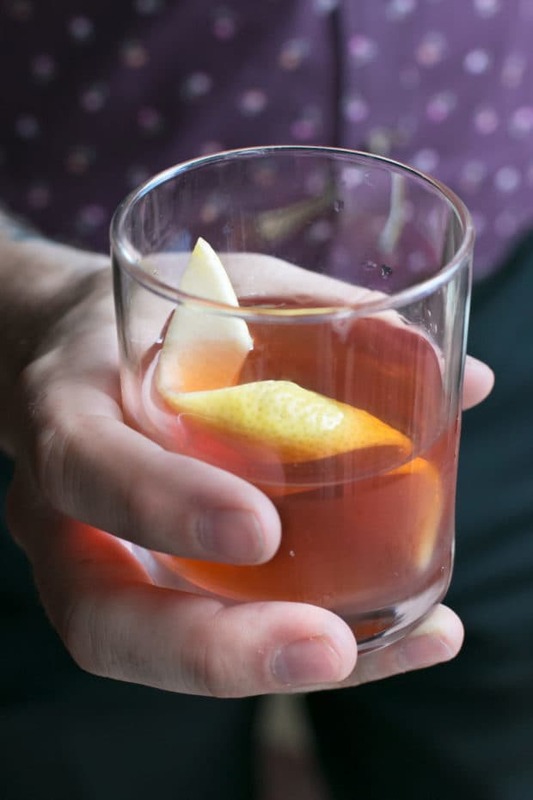 You’d never believe this is a Scotch-based drink, would you….? IT IS. I’ve never had Scotch this way (with pineapple, lime, Campari and orange), and it was absolutely brilliant. Smoky, tangy, and fruity, I felt like I was off to a freaking beach as I sat on the patio watching people stroll by. Now, let’s get down to the food shall we? 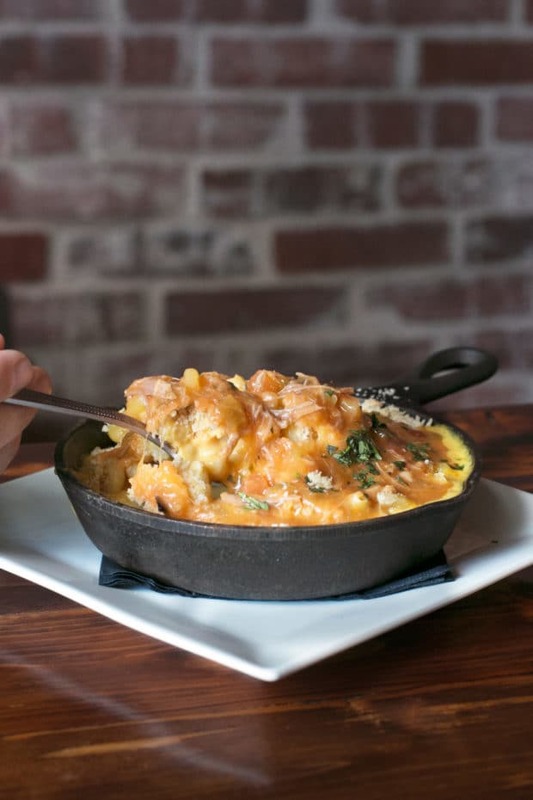 Skillet mac and cheese with green chile basically ruined mac and cheese for me for the rest of my life. I will never be able to chow on regular mac and cheese again. Pork green chile must always be there. Always. The skillet comes piping hot out of the oven and it’s so cheesy and comforting, I could honestly make a meal out of it for myself on a cold day. Pierogis are hard to find here in Denver and when you do find them, it’s even harder to find PERFECT ones. 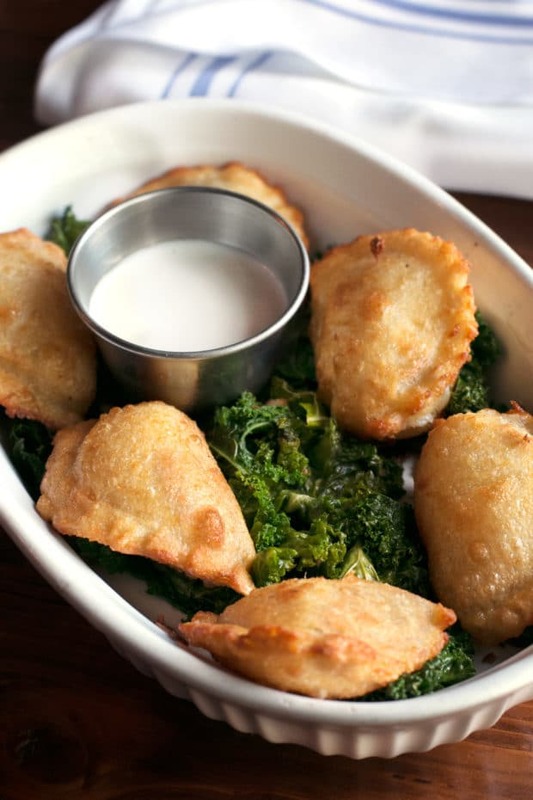 These little golden-fried pierogis are made from scratch. They are crispy, flavorful and served up on bacon sautéed kale that sold me on eating kale. For real, I don’t really do kale and now… well, now all I want is a side of bacon sautéed kale every dang night. 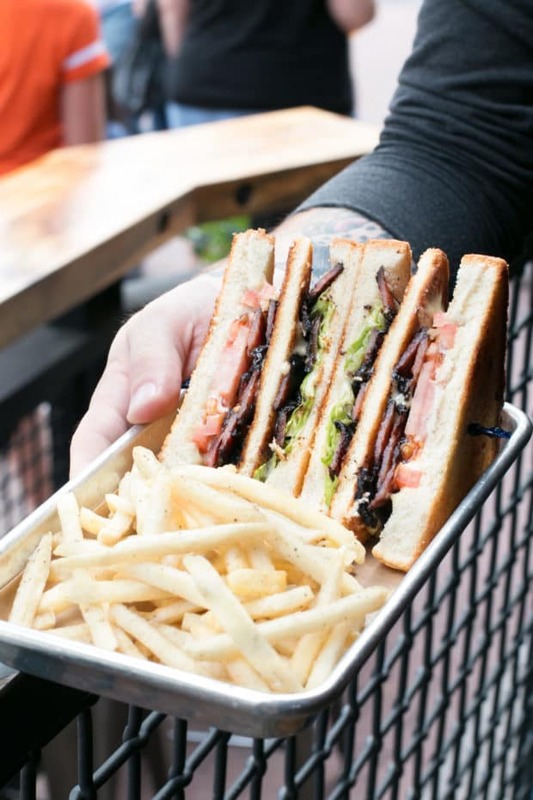 You also can’t miss their duck confit grilled cheese, piled with gooey provolone, duck confit and smooth rich tomato sauce. YAS YAS YAS. It’s messy but it’s worth getting messy for. Just don’t be that person who takes a knife and fork to it ok? Eat it like you’re supposed to. Regardless of what you eat and drink (and eat and drink), you are guaranteed an amazing meal here! So now it’s your turn! 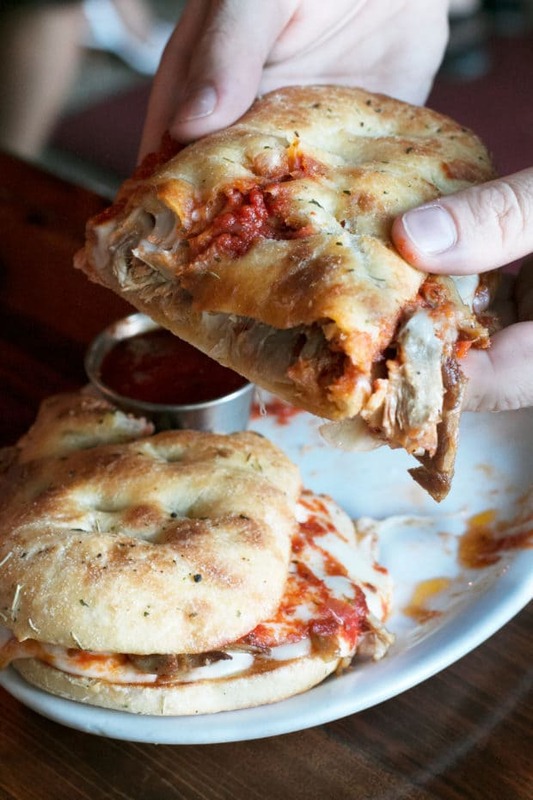 Have you been to Olde Town Arvada? What are your favorite spots?